*Authorized Waypoint Living Spaces Dealer* Unparalleled in quality, service and value, we are honored to be trusted by more builders in West Michigan than any other interior finishes contractor. That trust is not lost on us and we are intentional in every interaction to re-earn that confidence time and time again. We are grateful for every new opportunity to serve our community. Whether it is working with a new-home builder, a homeowner updating their home’s interior finishes, a commercial client, or one of our multi-family property owners, we consider it a privilege to find the right solutions to fit your individual needs. No task too big or small, we’re confident in saying if your project involves either flooring, cabinetry or countertops, we are the hands down choice to breathe life into your plans. First opening its doors 18 years ago in Jenison as a flooring store, Advanced Interiors has grown to encompass all manner of home finishes. 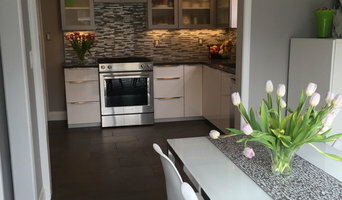 With our on site state-of-the-art Stone Fabrication Division, we are able to provide you with Quartz, Granite and Solid Surface countertops to enhance the beauty and function of your kitchen, bath or work-surface. In addition, our spacious showroom offers thousands of flooring and cabinetry options to give your home the design and function you desire. Likewise, our talented on-staff designers can help plan and design your vision to create the ideal space at no additional charge to you! While many things have changed in the last 18 years, the cornerstone of our business has remained… an uncompromising commitment to serving our community. We believe it’s that unfailing pledge to serve that has seen our business grow consistently in West Michigan, even during the past economic downturns and housing market declines. Our friendly, knowledgeable staff includes an expert sales team, on staff designers, a quality assurance team, as well as experienced installers and fabricators. Whether you are building or remodeling, Advanced Interiors has the distinction of being the one contractor you can partner with who can help you bring ALL of your interior plans to completion. Feel free to reach out to us, we would love to hear from you! Select Building Supplies is a specialty building product supplier serving contractors, architects, designers and homeowners in Michigan since 2007. We are committed to complete customer satisfaction. 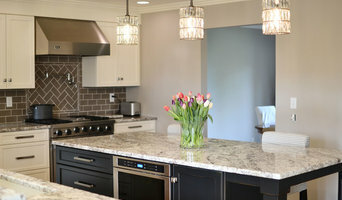 We are a local company, serving West Michigan's needs for high quality artistic tile work & granite tops since 1995. 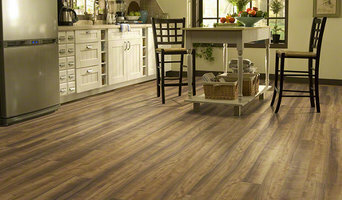 Our staff and showroom seek to utilize the wide spectrum of colors, textures and products available. We pursue a creative use of methods and materials to make your investment in your home or workspace both unique and enjoyable. From design to delivery, we are here to work together with you to make your project a success for all involved. From new granite kitchen counter tops to a bright finished back splash. From a porcelain back-entry floor to a grand front foyer marble entrance. From a simple functional shower to a true European spa with heated floors and benches, fog free mirrors and towel warmers, walk-in showers or steam showers. We have been in business for over 30 years. We offer our own staff of carpenters,electricians, plumbers, in-house design services with 20/20 design lay-out. 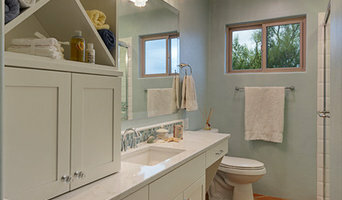 HWC is a fully licensed and insured remodeling company. Founded in 1987, Richard Welch Sr. recognized an industry in change. As a master tile, stone and terrazzo mechanic, Richard founded Welch Tile and Marble Company on the simple principle of commitment to excellence and installing timeless beauty. Advancements in technology and tremendous industry growth offered new challenges for installers and contractors. With his sons at his side, Richard embraced these challenges. The company rapidly grew to be recognized as a leader in the industry, both regionally and nationally. Richard’s vision and commitment to a company that’s growth would stem from placing value in his employees and value for his customers came to fruition and today the company employs over 60 tile, terrazzo, and stone professionals with expertise from design to installation. Richard passed the leadership baton to his son, Daniel Jay Welch, as President, in 2007. The founding principles govern the daily operations of the company and with Daniel’s direction, the company is an active contributor and member of national industry associations and governing bodies. Providing support and freedom for employees to express areas of special interest has produced a dynamic company in every aspect of the industry. With cutting edge expertise in every aspect of our industry Welch Tile is a proactive, leading and respected company in an ever changing industry.